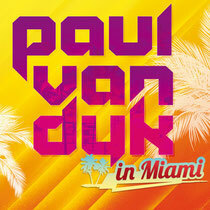 Paul van Dyk recently revealed his dates for this year’s Miami Music Week. At the moment, Paul will play at Dream on Washington Avenue, Space in Downtown Miami, gig on a Miami Sunset Cruise, and then finish the week on 30 March at the Ultra Music Festival at Bayfront Park. Read more for the full gig info. On the Thursday of conference week, Vandit’s roster will gather en-masse to ink the hallmark sound of PvD’s imprint on MIA’s backside! For your clubbing pleasure, the line-up consists of Alex M.O.R.P.H. b2b-ing with regular compadre Woody van Eyden, as well as Las Salinas, Maarten de Jong, Tristan D, Ben Nicky, David Forbes, Judge Jules, Kaeno and Chris Becker. The night will also feature live-on-stage vocal performances from Daniel Nitt and ‘We Come Together’ chanteuse Sue McLaren, as well as a exclusive feature length set from a ‘special mystery guest’! Paul returns to the venue he ushered-in 2014. Three months from his NYE turn at the club, Paul is back at Space with Max Graham in close support. The following afternoon, Paul sets sail for the high seas. More precisely, that’ll be ‘high Keys’, as Master & Commander PvD sonically steers the luxury yacht Musette on a club cruise around those ever inviting Florida waters. Closing out Miami 2014 in more ways than one, last but far from least Sunday 30th sees Paul van Dyk hit UMF! He’ll be spinning the prestigious finale set at Ultra’s Mega Structure arena in Bayfront Park. For ticket info, check: www.miami.paulvandyk.com.